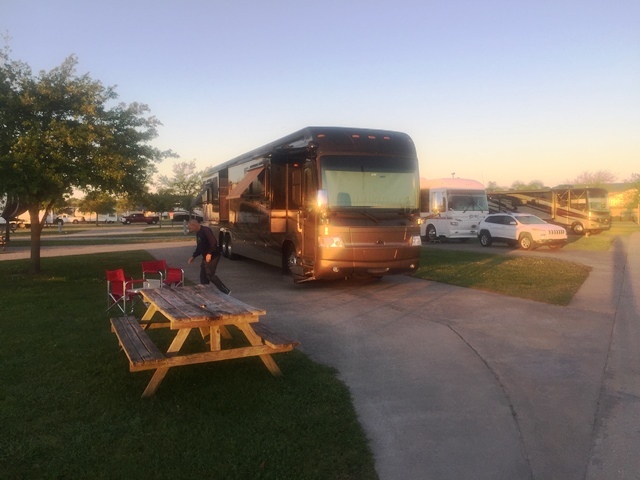 On our second Nite on our way to Foretravel to pick up my friend’s new bus, we stopped at Cajun Palms RV Resort in Henderson, La. My friend had stayed here before and recommended it as a an awesome park. 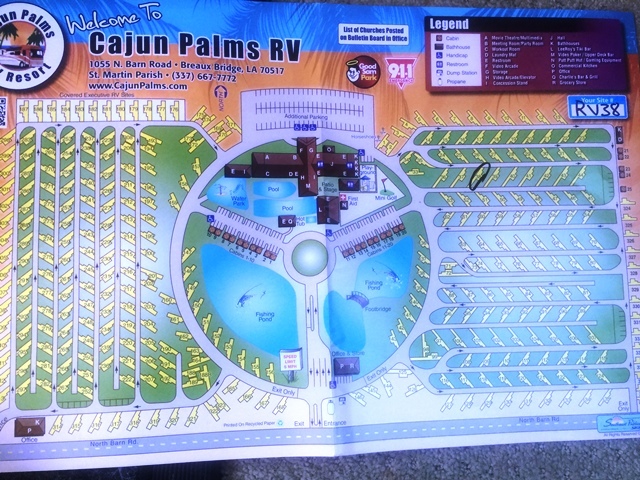 Cajun Palms RV Resort really is an oasis out in the middle of nowhere. 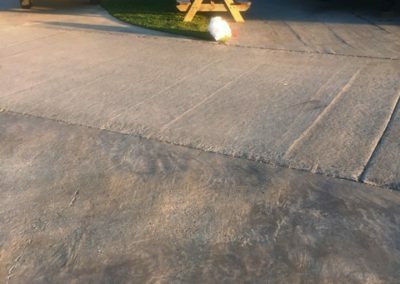 This park has over 300 spots ALL concrete with a large percentage of them being pull through. 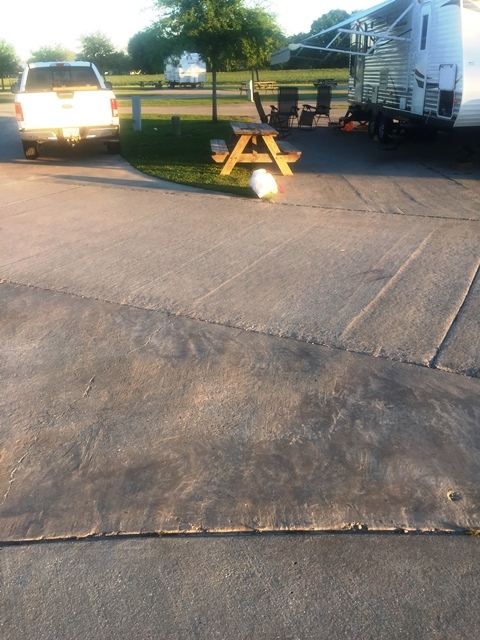 We paid approximately $40 for a one night stay in a concreted pull through spot. 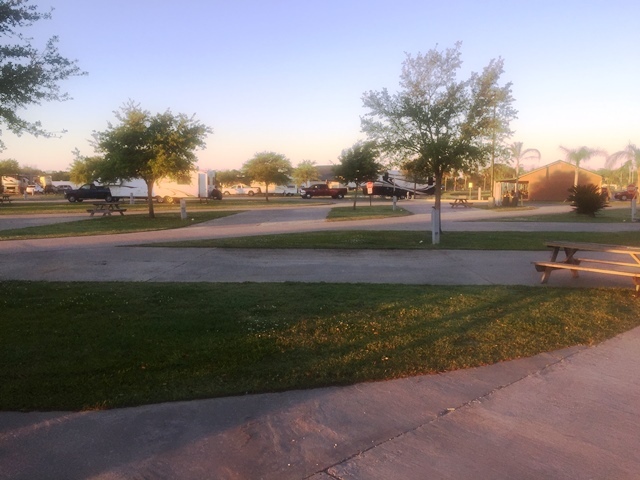 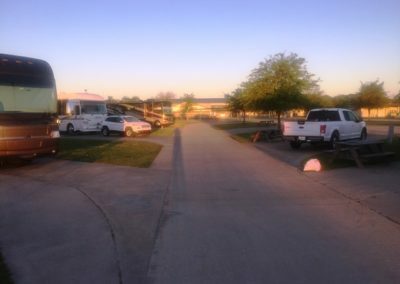 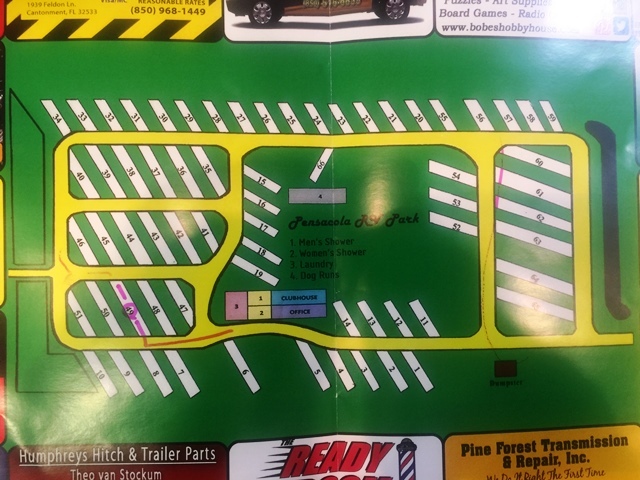 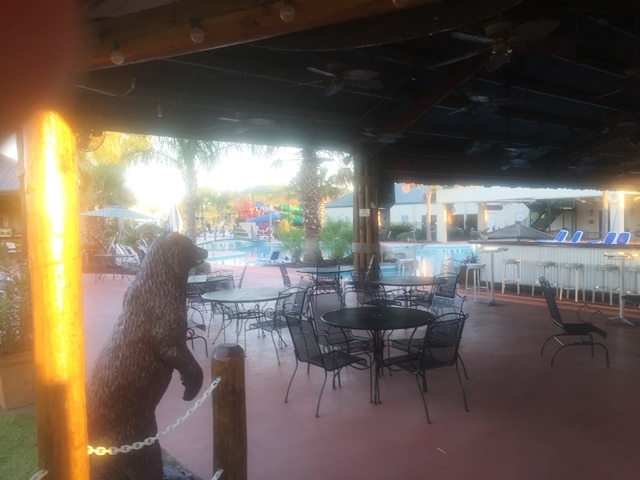 The sites at Cajun Palms RV Resort are some of the nicest we have stayed at compared to any resort we have been to. 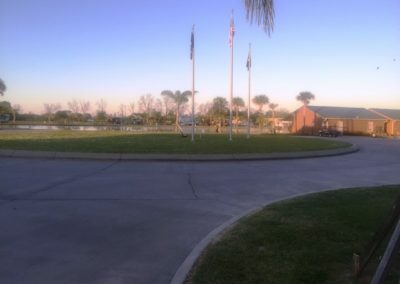 All of the pull-throughs were 80 feet of concrete and the entry and turns in the park are wide and expansive. 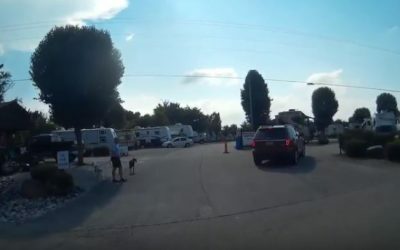 We easily were able to get to our spot with a 45′ motorhome and a tow behind. 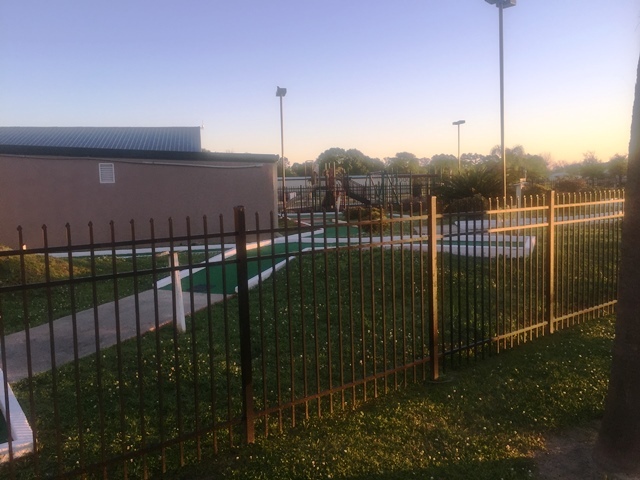 Each location had great power, good water pressure and a bench. 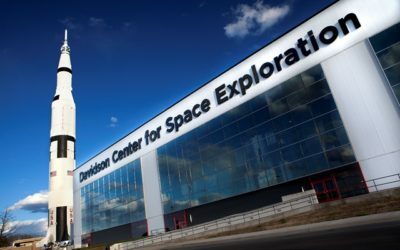 Tons of events and social festivals on the weekends. 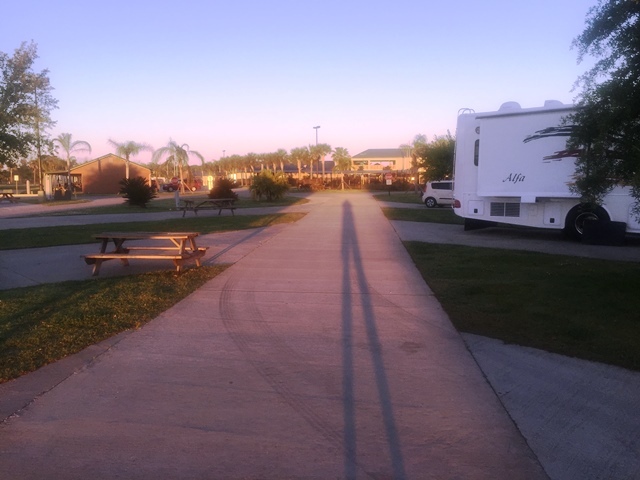 We were inquisitive as to what the purpose of this grandiose RV Resort out in the middle of nowhere is for. 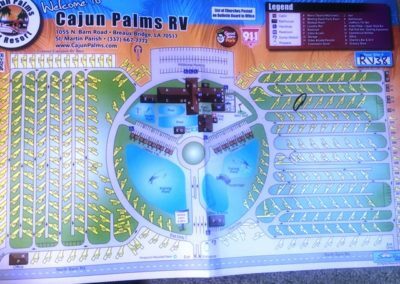 It is our perecption that this is a “Destination” resort. 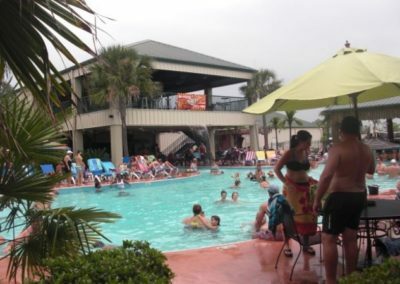 It seems that people come specifically to this resort for the very, very nice resort and festivals at the park. 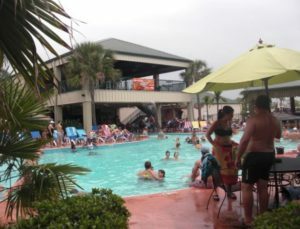 Besides a couple of restaurants we were not able to identify much more to do close to the park. 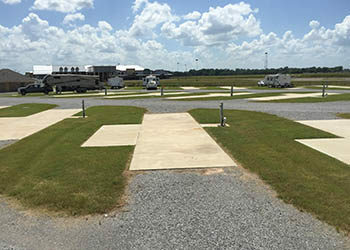 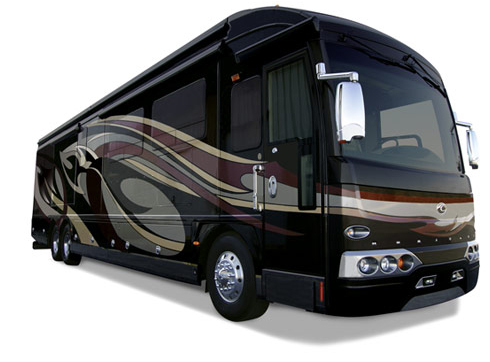 BONUS ALERT = Nicest RV resort in Louisana! 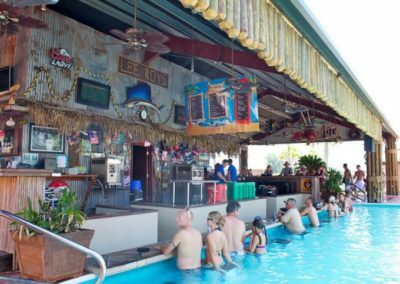 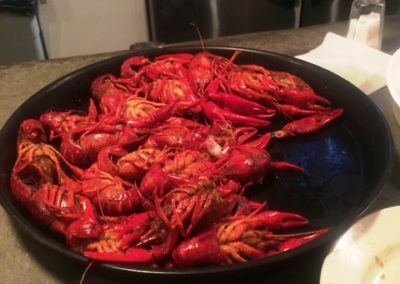 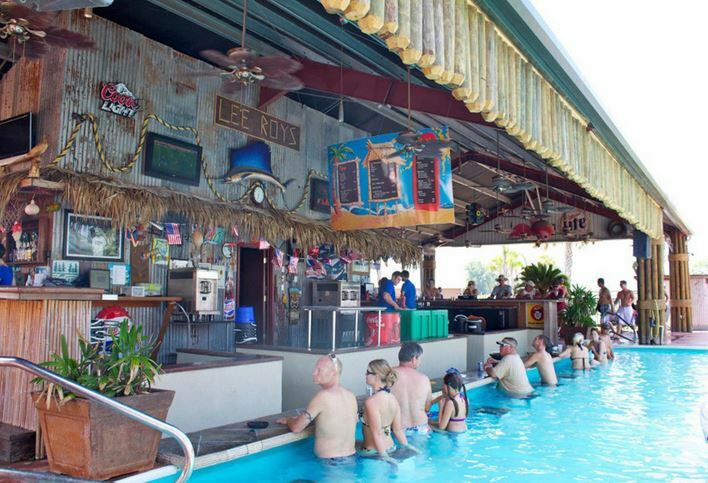 You can’t go to Cajun Palms RV Resort without checking out Crawfish Town USA. This restaurant is located right out in front of the resort (and you can walk to it.) 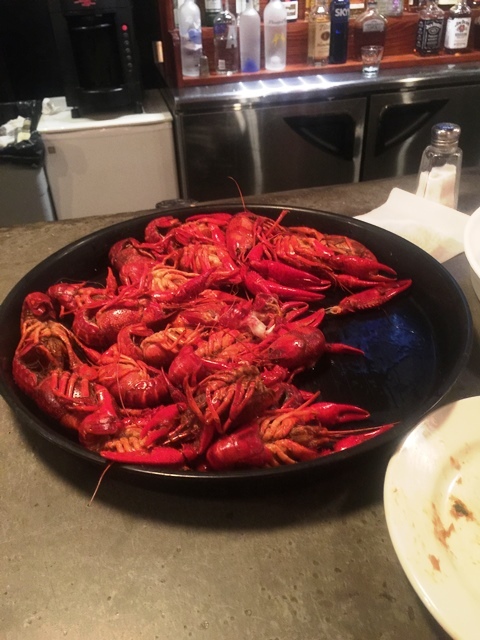 We tried the spicy Crawfish and they were AWESOME.